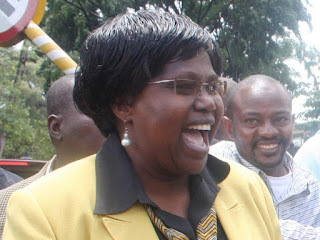 Tuesday August 14, 2018 - Naivasha MP, Jane Kihara, has revealed that indeed there was bribery in Parliament to shoot down the sugar report that had implicated Treasury Cabinet Secretary, Henry Rotich, his East African counterpart, Adan Mohammed, and former Agriculture CS Willy Bett. Speaking yesterday, Kihara revealed that she was approached by a Nakuru legislator who intended to bribe her to reject the sugar report but she declined. She further claimed that those who approached her claimed that the document adversely mentioned some of President Uhuru Kenyatta’s allies. (When I asked why I was told that it is because the people mentioned in the report are linked to Uhuru),” Jane Kihara said. Good for you mama. Now the next step is to give this same info complete with names to investigators to take action. Rais Uhuru himself is on record saying ata kama ni ndugu yake Muhoho, abebe mslaba yake mwenyewe! So who are these bwenyenyes think they are? Mr President if these MPigs think they can keep this up then dissolve the bunge and sent them to us - the real employers to sort them for you, We shall give you better ones to work with you for the cleanup and hence help set your legacy in solid gold for all time. What the heck i might even run myself for senate or bunge because i hate corruption with a passion - Passion with a capital P!